Think you need to go to a coworking space to be genuine member of the community? Think again! Give this quick but powerful episode a listen, featuring Lydia Martin's crowd-favorite talk about "remote coworking" from last year's People at Work Summit. We're counting the days to our big ONLINE coworking conference, The People at Work Summit. Find out who's speaking, and what an online conference really "looks" like. Save the dates of July 12-13-14 and grab your tickets at peopleatworksummit.com, and listen to the end of the show for a way to get 10% off your ticket! "Everything was really, really, really good." There's something in the air at CUAsia, and it's making coworking founders and operators extremely good at their work. In this episode, Alex and Adam recap their recent trip to Chiang Mai, Thailand for CUAsia 2017. Find out what impressed them most during their trip overseas and why they think even though Asia is young in terms of coworking, the entire region deserves our undivided attention as leaders of the industry. At Indy Hall, we don't offer lockers, we leave our door wide open, and we tend to leave our computers on our desks while we're away for lunch. And yet, we all feel safe and sound. How is that possible? In this episode, Adam and Alex visit a pivotal past event in which a member stole from the community and how we introduced a community-focused solution for keeping our members safe. EP53 - "Coworking will never work here"
If you have ever heard or spoken the words "coworking won't work in this town", this episode is for you. 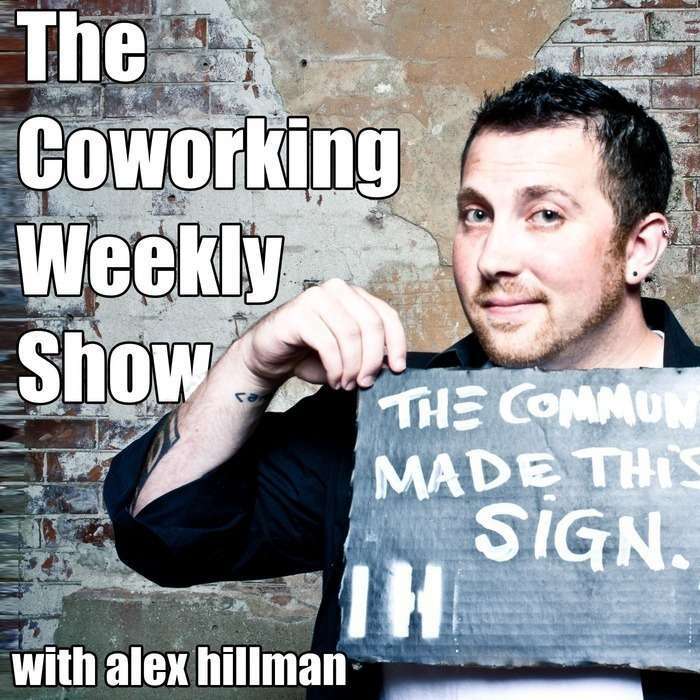 Alex is joined by Sean Fedorko, founder of Radius Cowork, and the two community leaders debunk the popular myth that coworking can't succeed in a small town. Alex learns what gave Sean the confidence to start his coworking community in a place where everyone told him it wasn't possible. In this episode, Sam and Alex talk tools - specifically, one tool we use at Indy Hall to create a sense community continuity, opportunities for connection even when you're not physically here. Find out which communication software we use to create a first-class gathering space for our entire community. Stop making excuses. Go do stuff together. EP51 - Slow the f*ck down! In this episode, Alex and Adam discuss an "impulsive" tattoo that symbolizes anything but hastiness. You've probably heard us talk about our JFDI philosophy, now we'll share an important compliment to that mantra. Plus, we recall a leadership lesson from an unexpected place: the orchestra. I decided to do something different at the closing keynote from this 2012 conference for the creative community in Cincinnati, Ohio. I'm planning to start adding some of these talk recordings from my archives. Let me know what you think! EP49 - Ask 👏 the 👏 members! Our final episode in the year 2016! Alex and Adam explore a brand new segment called "Catchphrase" in which they share a common mantra spoken by staff and members of Indy Hall. In this episode, the catchphrase is: ask the f*cking members.